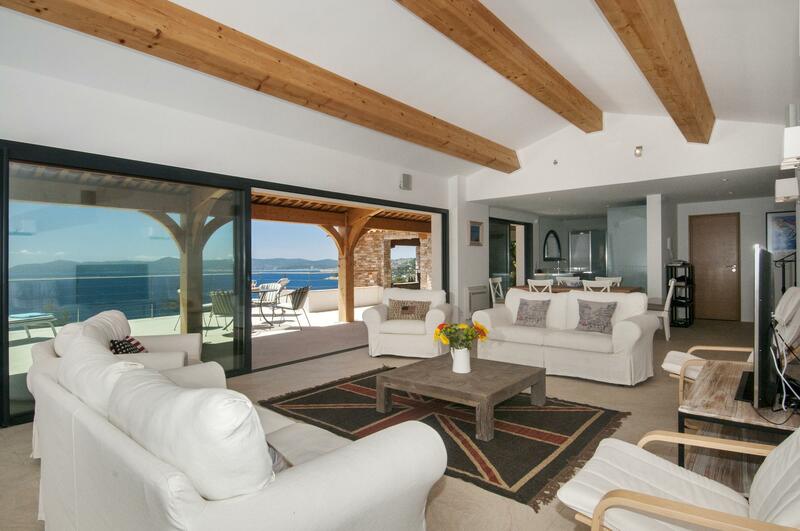 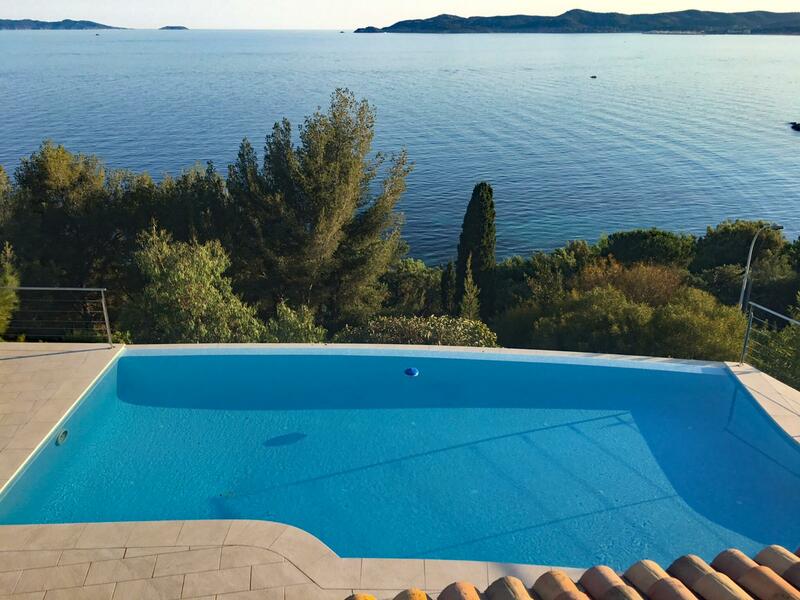 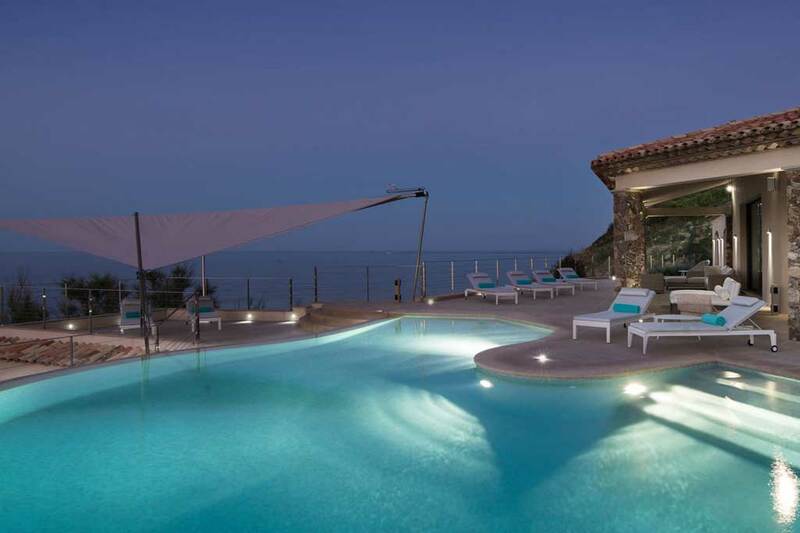 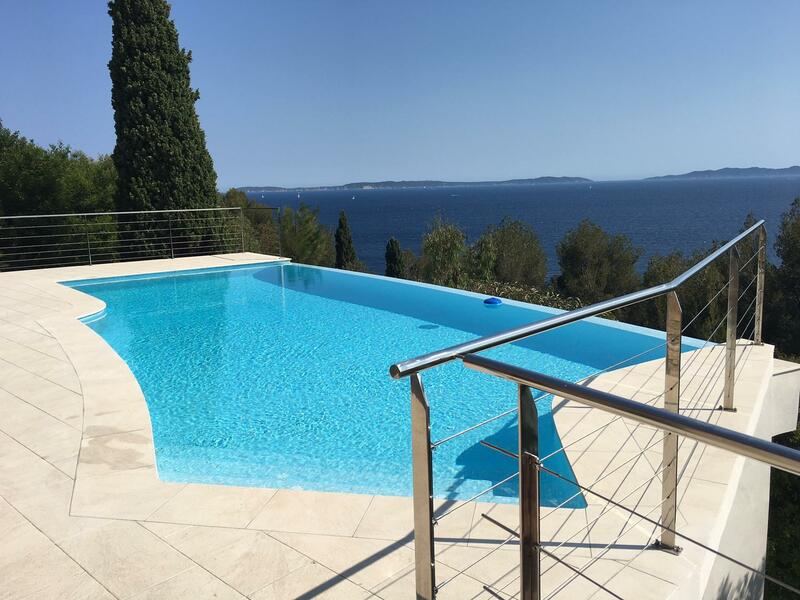 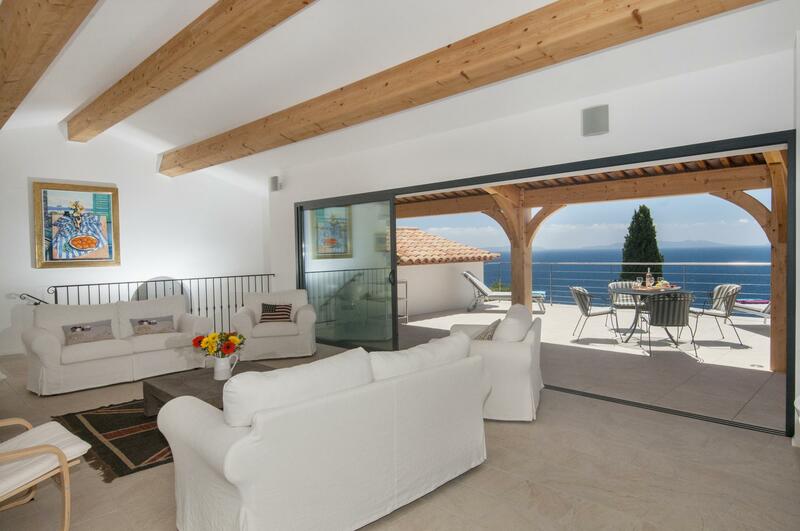 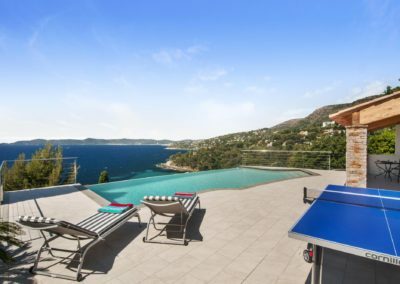 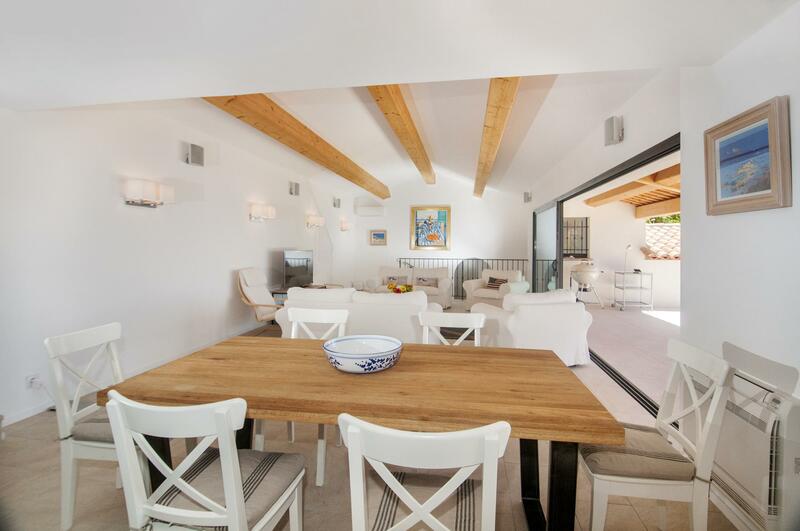 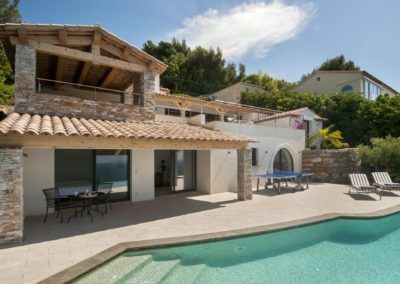 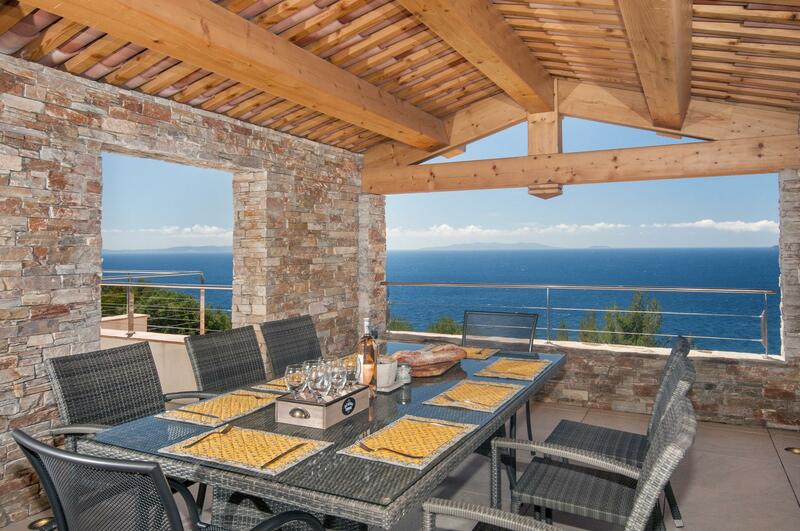 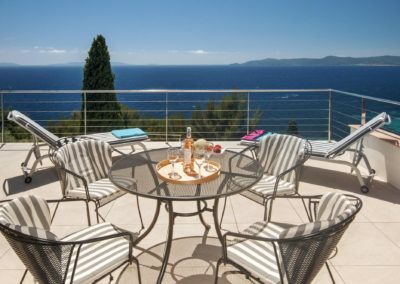 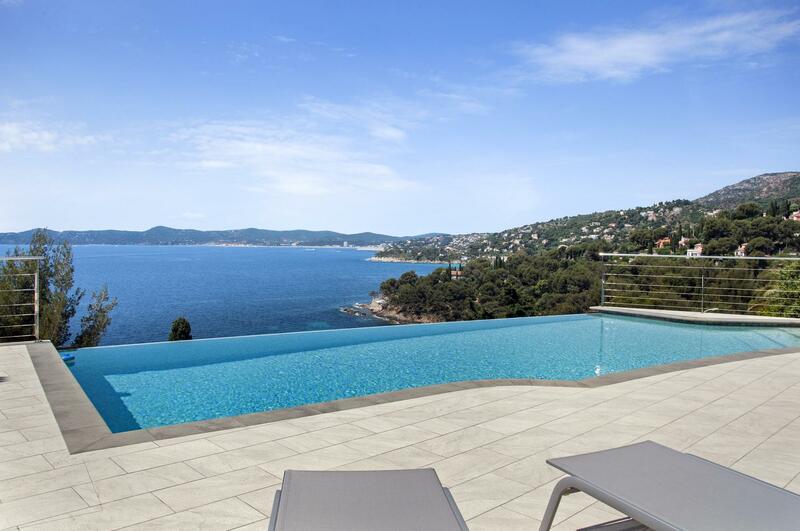 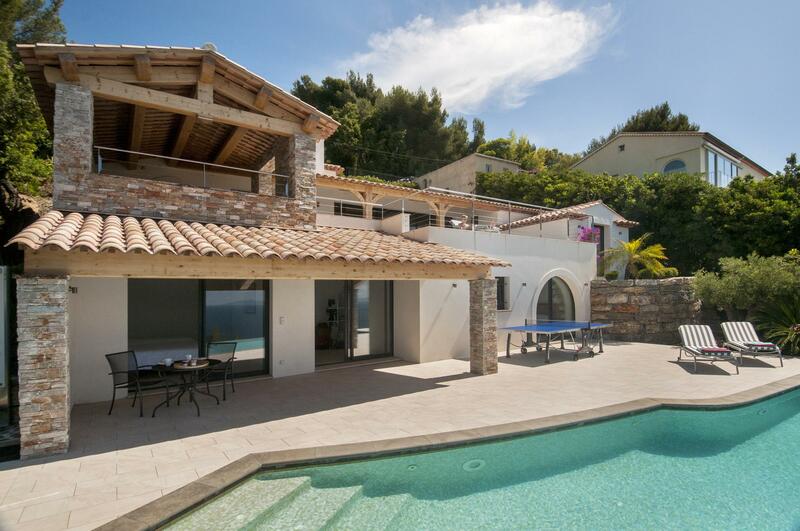 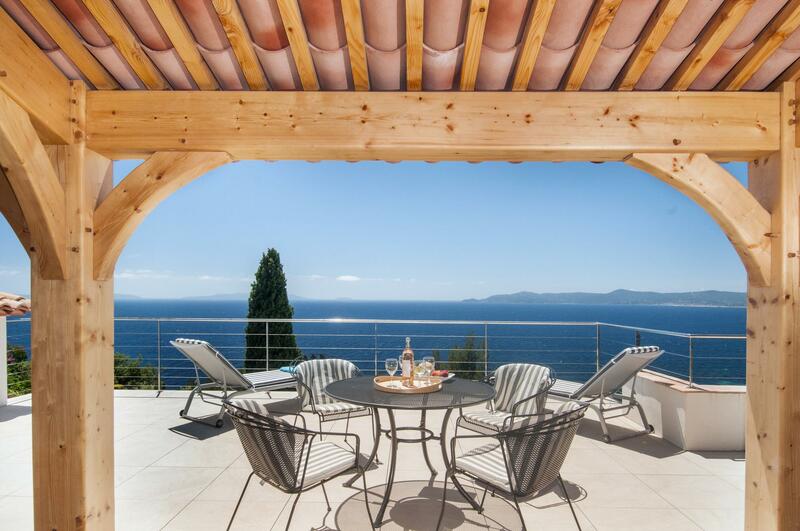 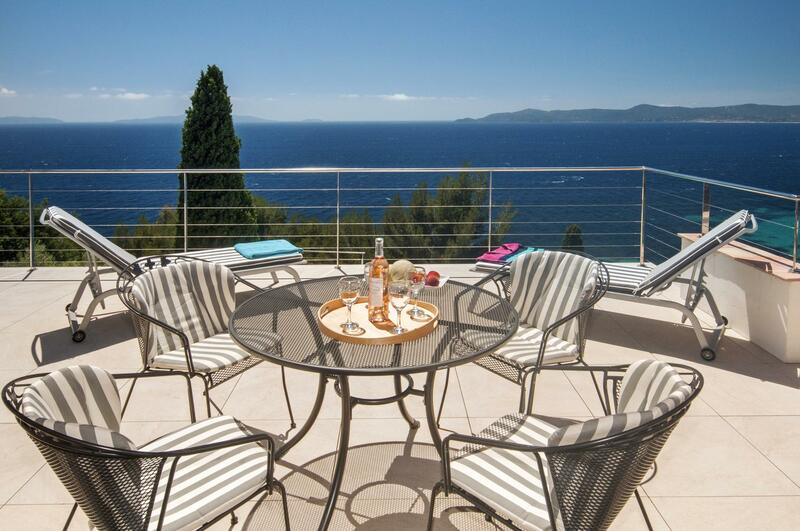 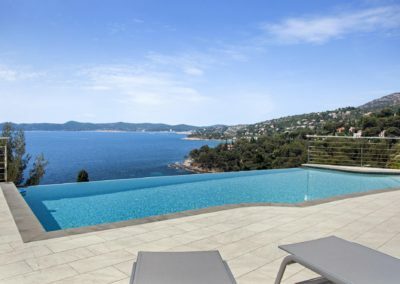 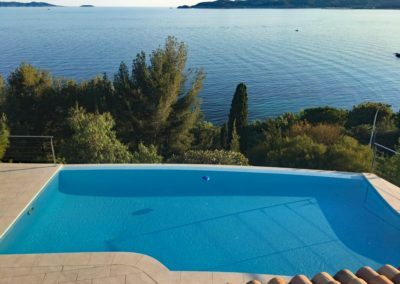 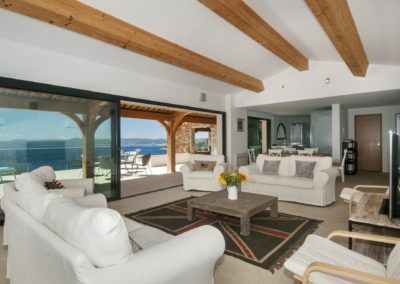 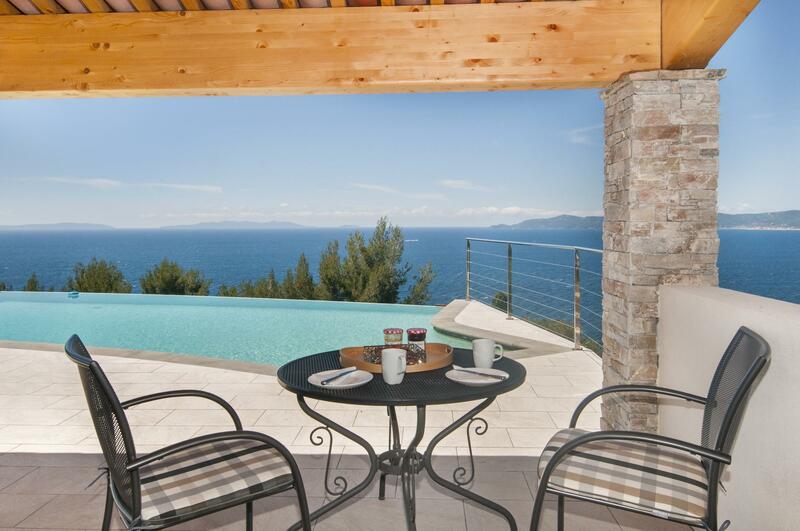 Air-conditioned villa with heated pool in an exceptional location with stunning views across the sweeping bay of Le Lavandou towards the headland of Cap Benat and the Grandes Calanques. 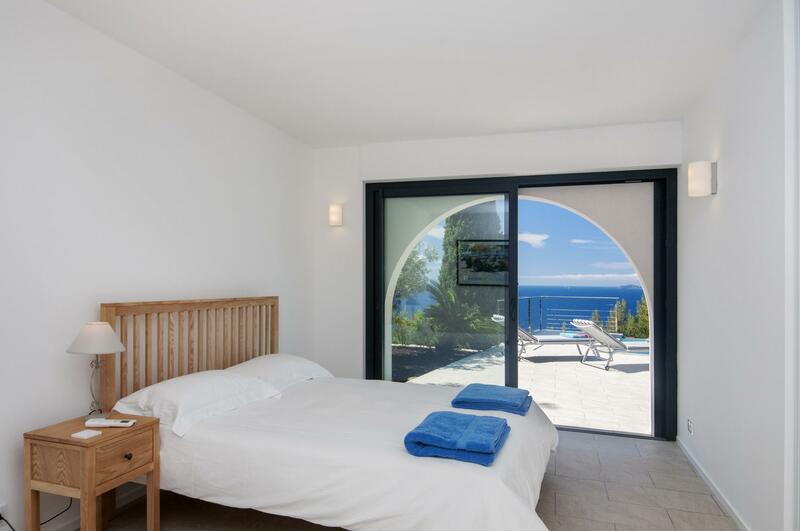 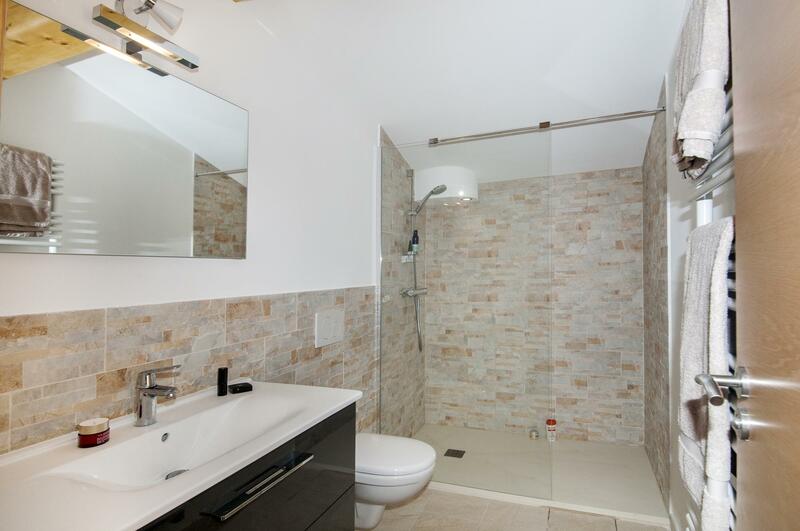 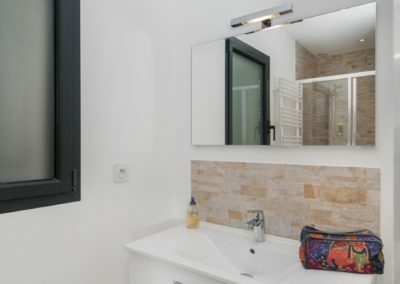 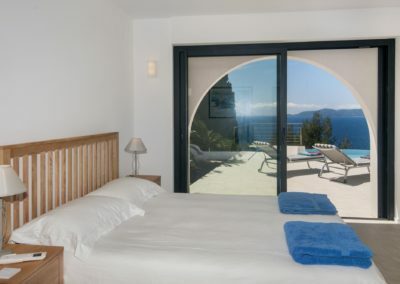 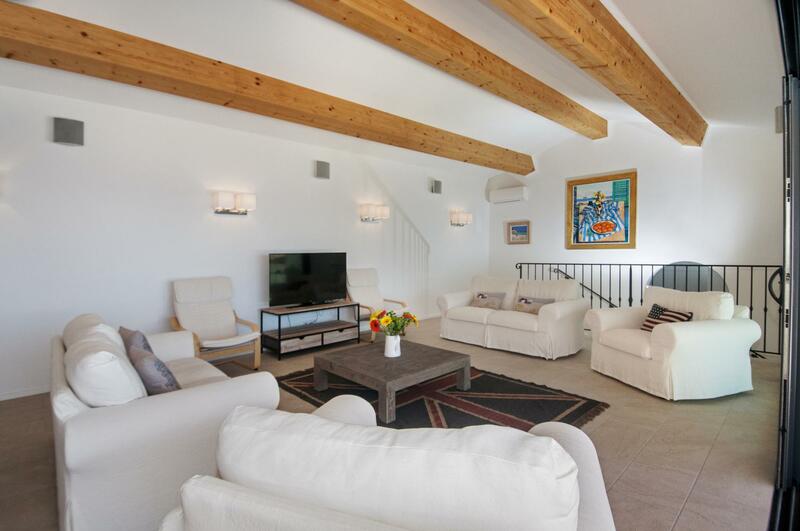 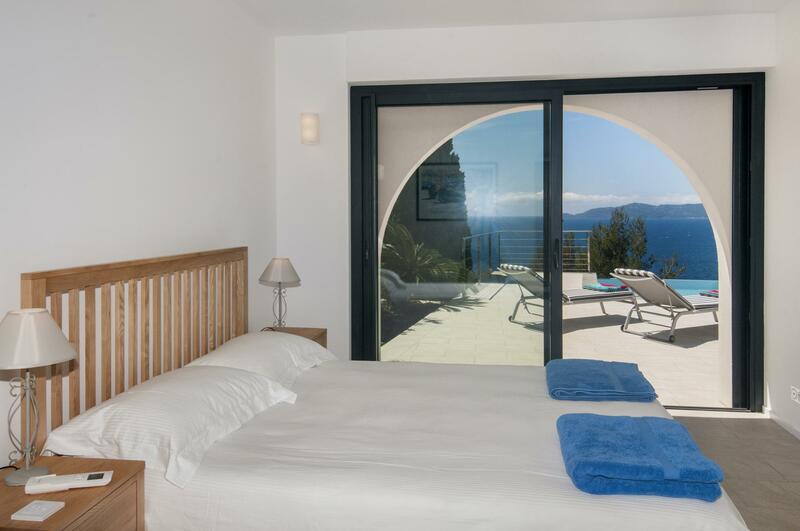 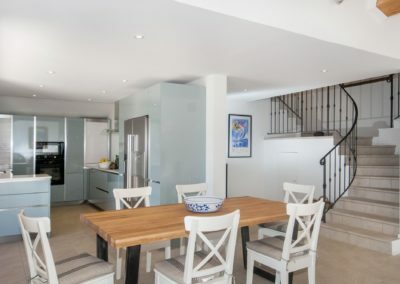 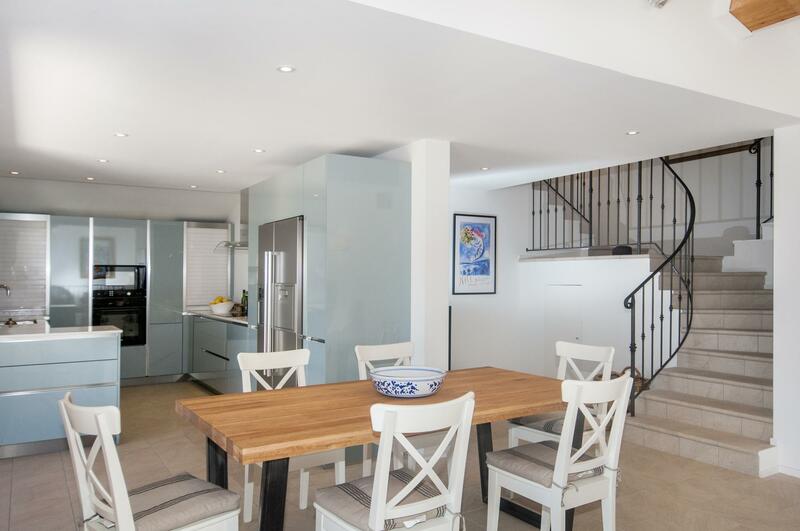 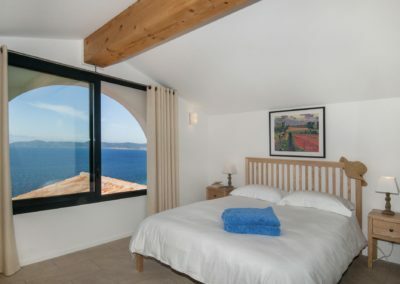 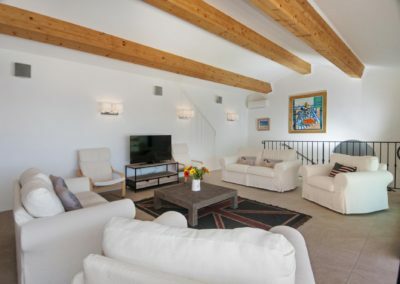 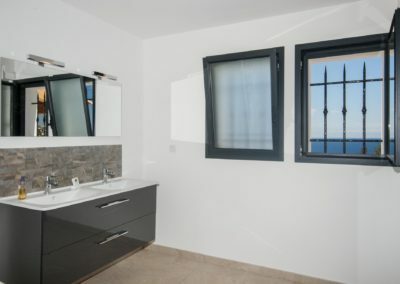 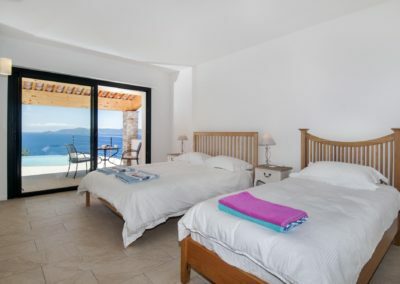 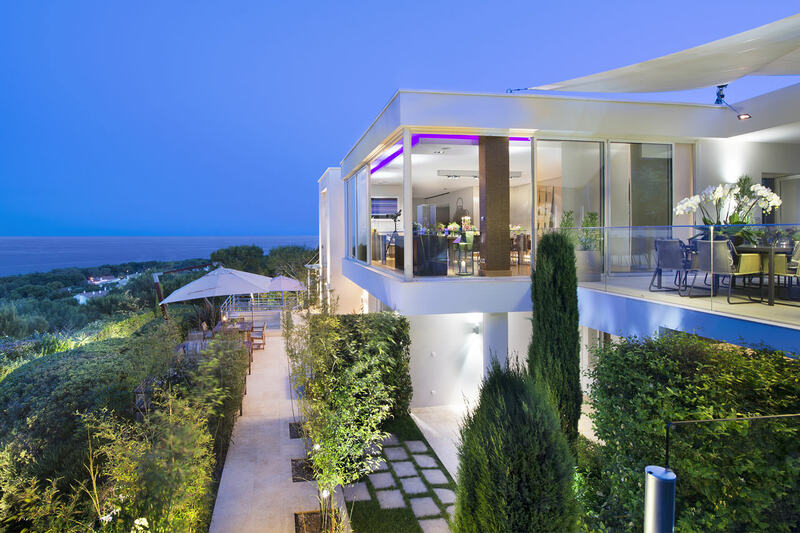 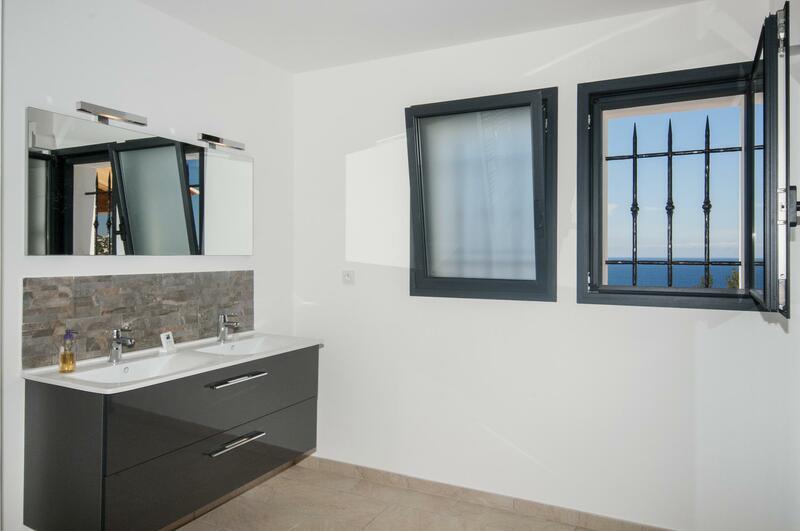 Built in 2014 into the hillside just 700m above the beach, and spread over 3 spacious levels, every room faces the sea and offers the highest standard of modern comfort and convenience. 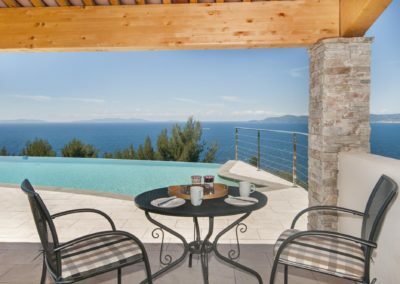 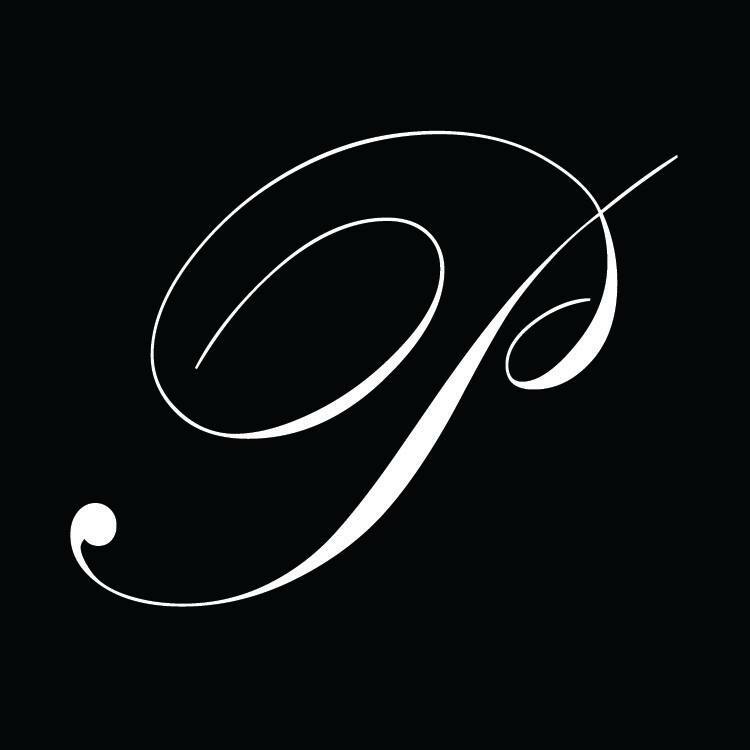 A heated infinity pool is set on the lower terrace overlooking the bay with a large sunbathing area and covered terrace to escape from the mid-day heat. 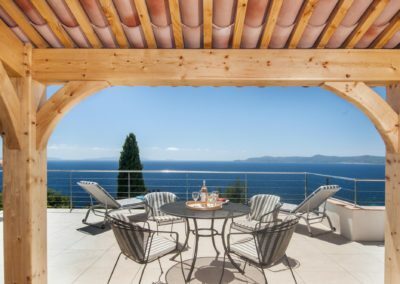 At mid-level, large glass doors join the indoor and outdoor living spaces and a fantastic partly enclosed au -vent provides shade for comfortable outdoor dining. 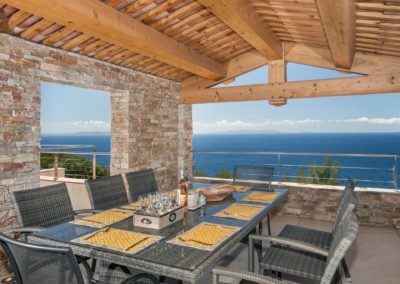 Built using soft pink bricks to reflect the colour of the coastal rocks and with large open panels to frame the view, what better place to sit back and allow the lovely sea breeze to cool you as you dine! 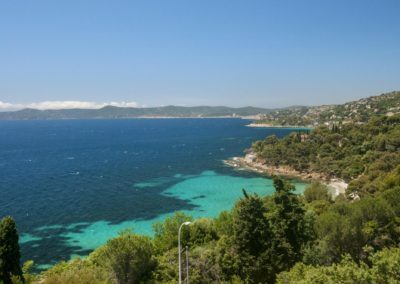 A 10 minute walk downhill brings you to Aiguebelle beach, and a cycle path runs between here and nearby Cavaliere, putting an endless array of watersports and beach facilities within easy reach. 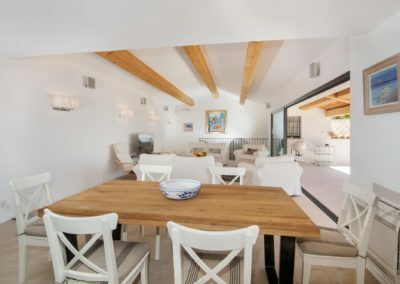 The heady atmosphere of St Tropez is known all over the world; dazzling yachts, designer shops and pavement cafes buzz with life as people watch people going by! 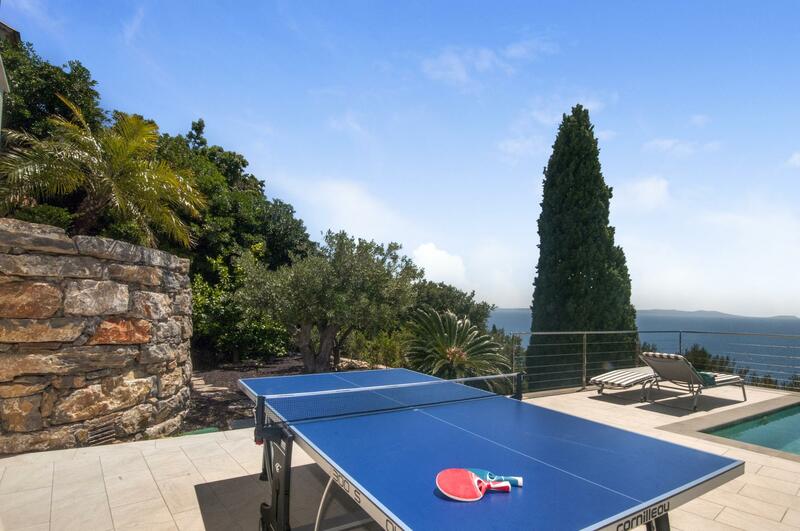 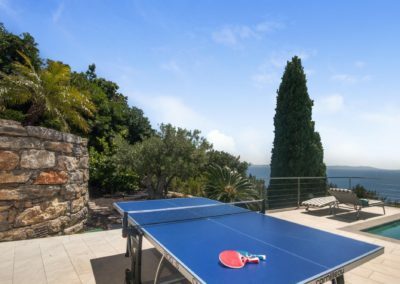 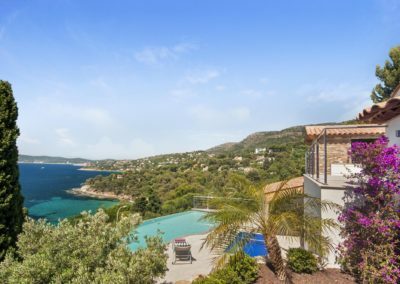 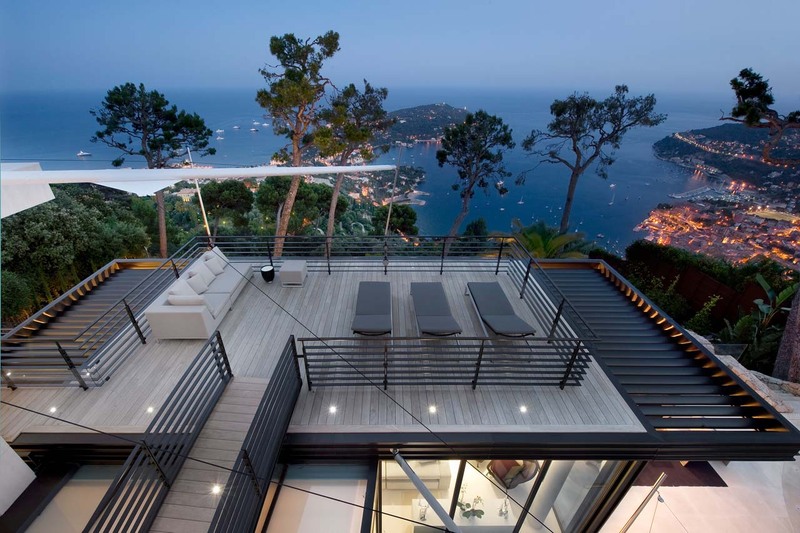 As you travel west of St Tropez the landscape becomes noticeably less populated and feels increasingly relaxed, making this the ideal choice for your holiday base. 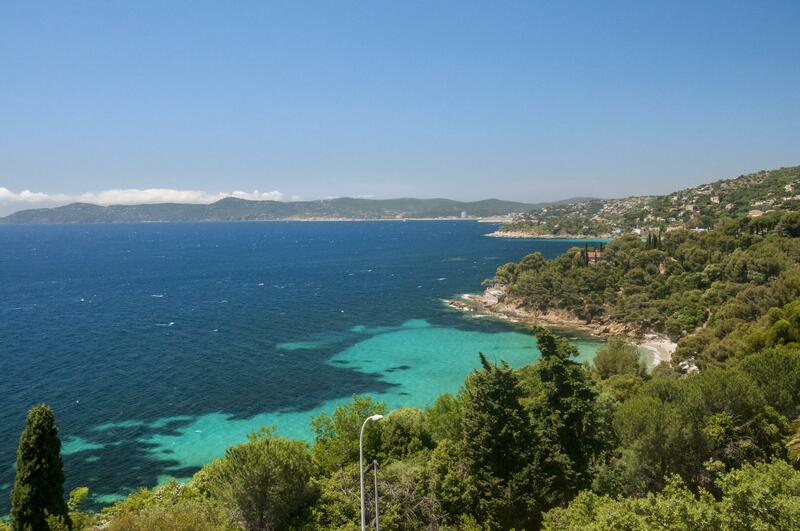 With 12km of beautiful coastline, Le Lavandou is known for its ‘12 beaches’ ranging from hidden coves to family beaches with great facilities and watersports, but they all have one thing in common; golden sands and award winning, clear blue waters. 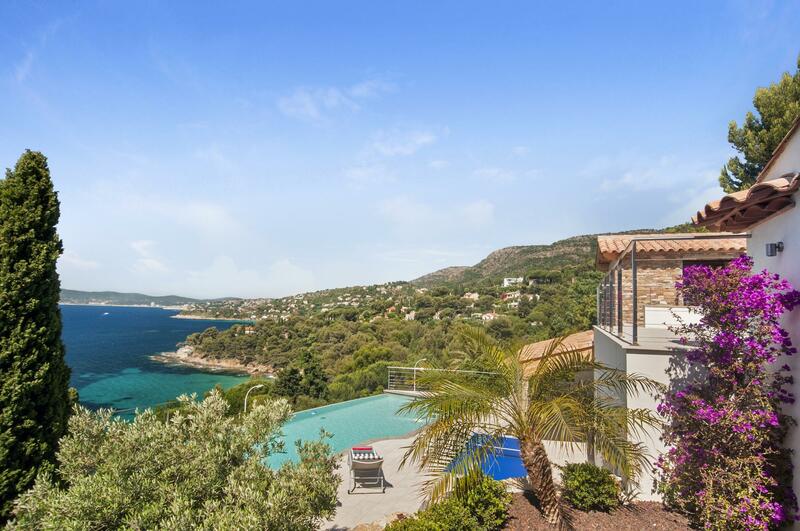 It feels like a whole world away from St Tropez, and yet is only 20 miles along the coast. 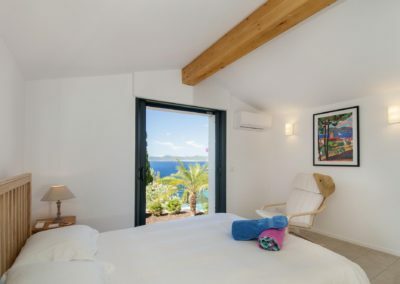 20 miles in the opposite direction, the Giens peninsula offers fantastic windsurfing in a protected bay, and a 10 minute boat trip takes you to the Ile de Porquerolles, a magical unspoilt island with fabulous seafood restaurants, white sands and turquoise waters, often likened to the Caribbean!